After hearing such positive feedback from patients that have treated at Cancer Treatment Centers of America, I knew that it was a place I'd like to be a part of. After hearing positive feedback from patients who had treated at Cancer Treatment Centers of America® (CTCA), Ashish Dhungel, MD, knew that it was a place of which he would like to be a part. The CTCA® whole-person approach to care aligned with Dr. Dhungel’s goals in treating patients, and he joined the team at CTCA Atlanta. 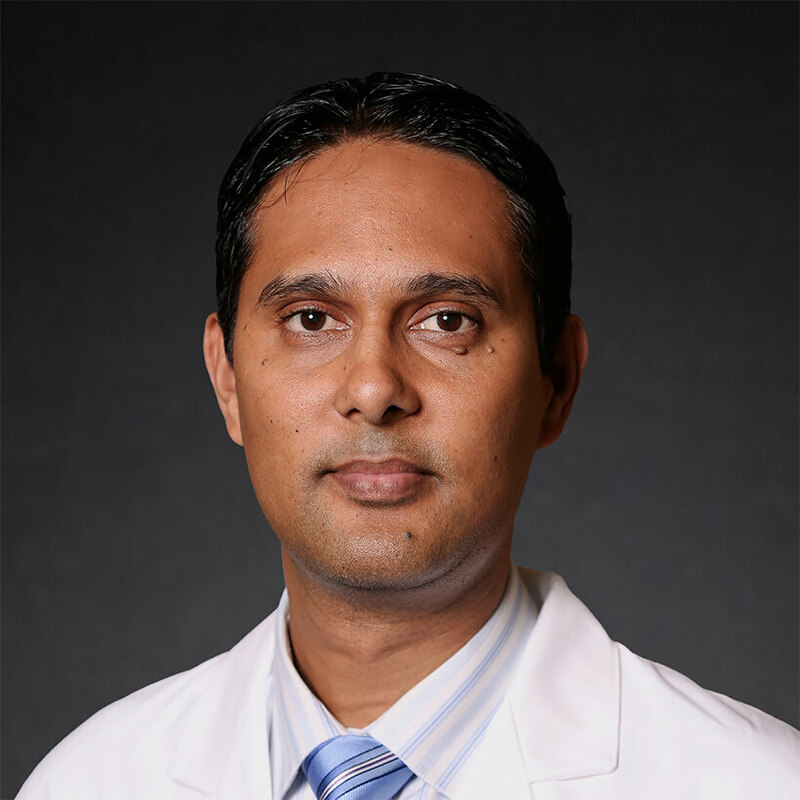 "My goal is to treat the patient as a whole by coordinating their care with other physicians,” says Dr. Dhungel, Nephrologist at our Atlanta hospital. “Chemotherapy can cause nephrotoxicity in chronic kidney patients, and I am available to help patients who are experiencing this, as well as other nephrology conditions." Dr. Dhungel earned his medical degree at University of Science & Technology in Chittagong, Bangladesh. He then completed an internal medicine residency and a post-doctoral nephrology fellowship at St. John Hospital & Medical Center in Detroit, Michigan. Dr. Dhungel is also a partner at Kidney Clinic in Newnan, Georgia. He is a member of the Renal Physicians Association, the American Society of Nephrology and the American College of Physicians. He has been published in numerous journals, including The Scientific World Journal, and has completed abstracts for the National Kidney Foundation and the American Transplant Society. In his free time, Dr. Dhungel enjoys traveling and spending time with family and friends.